GRAMBLING, La. (AP) — A student and his friend were fatally shot at a university in Louisiana after an altercation that began in a dorm room and ended in a courtyard, authorities said Wednesday. The shooter remained at large. Lincoln Parish Sheriff’s spokesman Stephen Williams said detectives joined campus police investigating the double homicide at Grambling State University after getting 911 calls starting at 12:04 a.m. The historically black university in northern Louisiana has an enrollment of nearly 5,000 students. Grambling State media relations director Will Sutton told news outlets that one of the victims was a Grambling senior, Earl Andrews, and the other was Monquiarius Caldwell. Both were 23 and from Farmerville, Louisiana. Andrews’ aunt, Mattie Boyette, told KSLA.com that she had no idea why anyone would want to shoot him. “He was here at Grambling, good student, good kid. He just wanted an education. He just wanted to better himself,” Boyette said. 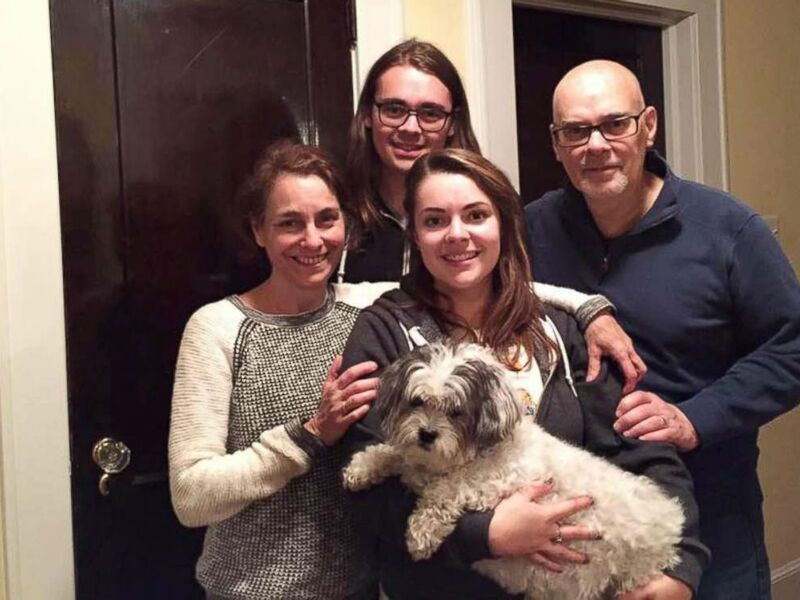 “His momma, his sister and his brother, he was the apple of their eye,” she said. Authorities did not immediately release any information about the suspected shooter. The deadly shootings happened during the school’s homecoming week. KSLA.com reports that Sutton said it was too early to say whether any homecoming events would be affected. 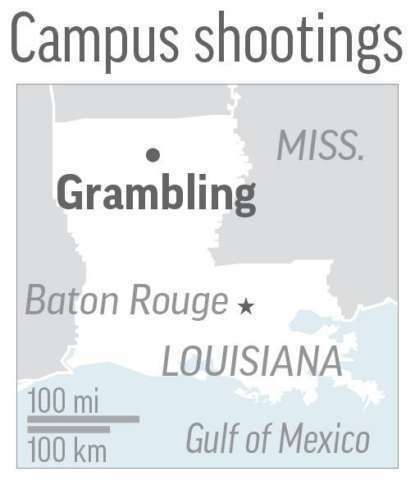 A Grambling State student was wounded last month in a separate shooting on the campus. Sutton told news outlets then that a student let another person into a dorm and there was a fight that ended with a student being shot in the left arm on Sept. 21. No suspects have been named in any of the shootings. An apparent crude attempt to alter photographs of a meeting between Secretary of State Rex Tillerson and Afghan President Ashraf Ghani on Monday in Kabul has set the Internet abuzz with questions. A close inspection by The New York Times found significant discrepancies in the photographs that may be explained by an effort to use image-manipulation software to doctor at least one of the images. Both the photograph released by the U.S. and the one provided by Afghanistan depict Tillerson and Ghani seated at the front of a windowless room, flanked by their delegations. However, the image released by Afghanistan does not include either the military-style digital clock or the large fire alarm that appear directly above Tillerson and Ghani in the photograph produced by the U.S. government, The Times reported. And in the Afghan photograph, the room is much more brightly lit. 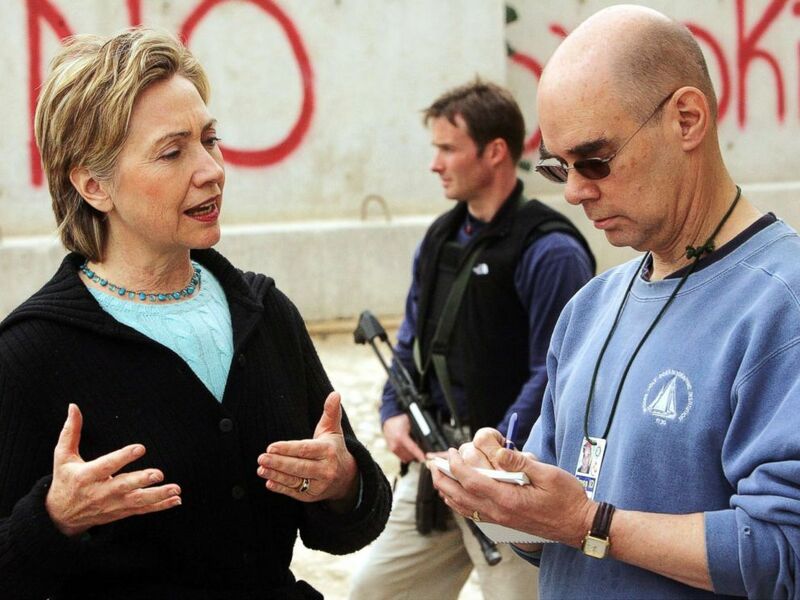 According to an image expert cited by the Times, there is “no question” the Afghan photo was altered. The giveaway, the expert told The Times, is that whoever apparently doctored the Afghan image did not entirely remove the power cord that led to the clock and fire alarm in the U.S. photograph. The question remains: Why would Afghanistan’s government manipulate a routine photograph of a visiting dignitary? After Tillerson’s meeting with Ghani on Monday, the American Embassy and Ghani’s office released a statement claiming that the two men had met in Kabul. But the Times noted that the meeting actually occurred at Bagram, the U.S. military base more than thirty miles from Afghanistan’s capital. Removing the military-style clock and large fire alarm might have been an attempt by Afghanistan’s government to conceal the meeting’s location. By claiming that Tillerson and Ghani were in Kabul and not a fortified military base, the Afghan government can project strength and advance a positive narrative about the country’s security. Neither Ghani nor Tillerson’s office has provided an explanation for the discrepancy in the images, or why the American Embassy signed off on the statement claiming the meeting was in Kabul. The former Democratic president reportedly has offered to work on behalf of the current commander in chief. President Donald Trump may have found an unlikely ally in Jimmy Carter. Some might think Carter, a Democrat, would hold much different political viewpoints than Trump. But the 93-year-old former president told The New York Times he would be up for a diplomatic mission on behalf of the current administration, going to North Korea to help address Pyongyang’s nuclear pursuits. During his interview with Times op-ed columnist Maureen Dowd, Carter said the U.S. has overestimated the influence China has on North Korea – a comment that comes as Trump repeatedly has called on Beijing to rein in the Hermit Kingdom. Yet he also defended Trump when asked about what Dowd described as the president’s “souring our image in the world,” responding that Trump “might be escalating” things but that the issue preceded his time in the Oval Office. The interview isn’t the first time Carter has defended the president. In September, he expressed optimism about Trump’s approach to immigration law, saying the president might actually be able to achieve movement on the issue, according to The Associated Press. In those comments, Carter also said Trump deserves credit where credit is due. With Dowd, Carter shared his thoughts on a range of issues, from North Korea to the role of the media. Here’s a look at some of his key comments. “I would go, yes,” Carter told the Times. “I told him that I was available if they ever need me,” he said. “He made some very wonderful statements, in my opinion, when he first got in office, and then he reneged on that,” Carter said of Obama and the Middle East. Carter was also tough on Obama’s work with North Korea, saying he had “refused” to talk to the Hermit Kingdom more. And he lamented U.S. involvement in the conflict in Yemen under the Obama administration. Carter told the Times he does not have Obama’s email address, and that he had his “best relationship” with George H. W. Bush when Bush was in office. “I think the media have been harder on Trump than any other president certainly that I’ve known about,” he said. Carter said he thinks members of the news media “feel free to claim that Trump is mentally deranged and everything else without hesitation.” But he didn’t give Trump a complete pass, saying he thinks the president is “exacerbating” racial division in the country. “We voted for Sanders,” Carter said of how he and and his wife, Rosalynn, voted during the 2016 Democratic primary, aligning with what he has said in the past. “I think they ought to find a different way to object, to demonstrate. I would rather see all the players stand during the American anthem,” he said. But the public debate over removing Confederate monuments was less clear for the former president. NFL commissioner holds news conference after meetings with players and owners. Goodell, speaking to reporters on Wednesday, said it is important for the league and its players to honor and respect “our flag and our country. Asked about owners who threatened discipline for players who didn’t stand, Goodell said the owners didn’t discuss it. “We want our players to stand. We’re going to continue to encourage them to stand,” he said. Last week, Goodell sent a memo to NFL executives and club presidents aiming to move past the weeks-long feud between the White House and players. American swimmer takes a knee. Could athlete protests impact upcoming Winter Olympics? On Wednesday, Goodell said the league is working with its players to see how it can continue to support them and how changes can be made in their communities. 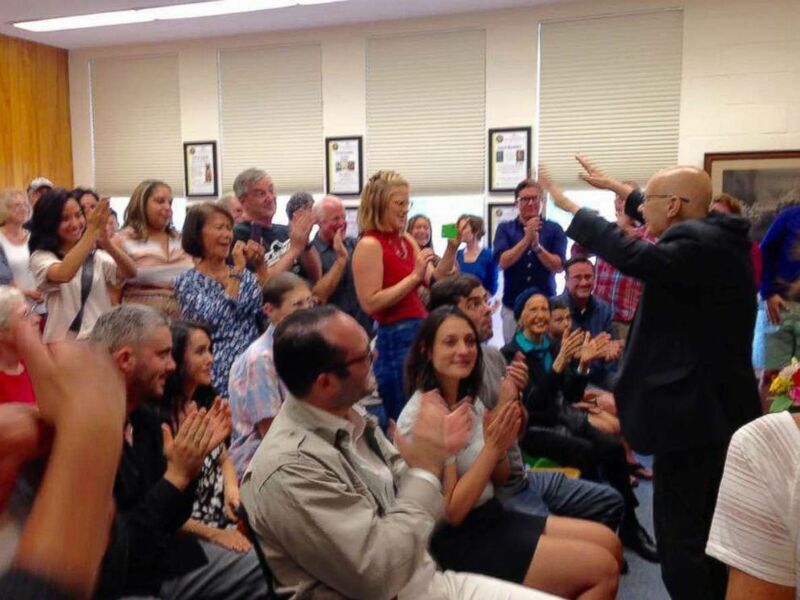 “They are very clear about and very knowledgeable about [what needs change],” he said. Tomi Lahren to NFL players: What are you kneeling for? The “take a knee” movement — protesting police brutality and other issues — began when Colin Kaepernick first sat for the anthem during the NFL preseason in early August 2016. It since has grown to a sizable number of NFL and WNBA players and even spread abroad when a German professional soccer team took a knee during pregame ceremonies in solidarity last Sunday. 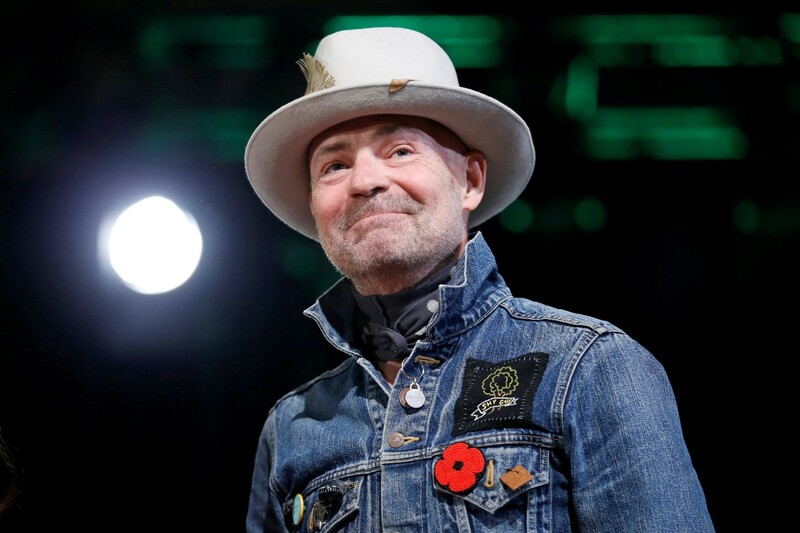 TORONTO — Gord Downie, who made himself part of Canada’s national identity with songs about hockey and small towns as lead singer and songwriter of iconic rock band The Tragically Hip, has died at age 53 after a battle with brain cancer. 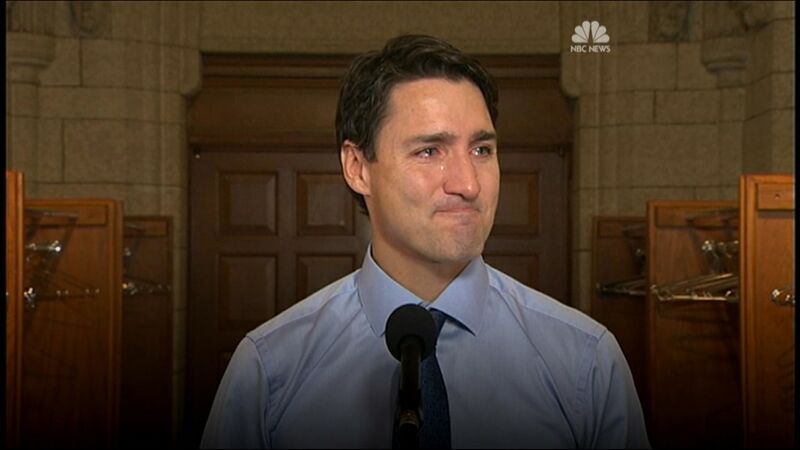 “There will never be another one like you, Gord, Rest in peace my friend,” Canadian Prime Minister Justin Trudeau tweeted. Downie later told the Canadian Broadcasting Corp. that he needed six teleprompters during the concert series so he would not forget lyrics. But through it all, Downie remained the consummate showman, rocking out on stage in distinctive leather suits. WASHINGTON — The Senate Intelligence Committee has requested documents and testimony from Michael G. Flynn, the son of former national security adviser Michael Flynn, but has not received a response, three sources familiar with the matter told NBC News. The committee, which is investigating possible collusion between the Trump campaign and Russia, is interested in Flynn’s work as his father’s aide and travel companion with Flynn Intel Group, the consulting firm retired Lt. Gen. Michael Flynn formed after he left government service, the sources said. Sen. Richard Burr of North Carolina, the intelligence committee chairman, and Sen. Mark Warner, of Virginia the ranking Democrat, declined to comment when asked about the matter Monday by NBC News. Michael G. Flynn’s lawyer, Barry Coburn, declined to comment. 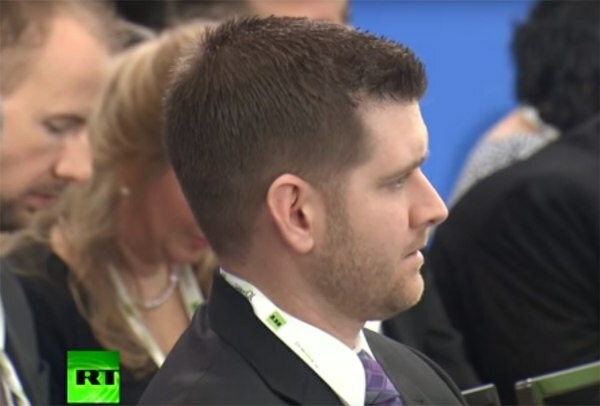 The younger Flynn, 34, accompanied his father on a 2015 trip to Moscow, where the elder Flynn sat next to Vladimir Putin at a dinner to celebrate Russia’s state-funded media network, RT. The younger Flynn can be seen in video from an associated event. Ultimately, the committee could issue a subpoena to Flynn if he doesn’t comply, but he could assert his right against self-incrimination under the Fifth Amendment to the U.S. Constitution. NBC News reported last month that the younger Flynn is a subject of the criminal and counterintelligence investigation being conducted by Special Counsel Robert Mueller, who is also interested in Flynn’s work with his father’s consulting business. The elder Flynn was fired as Trump’s national security adviser in February after it became public that he had misled Vice President Mike Pence about his conversations with the Russian ambassador in Washington. A former business associate of Michael Flynn’s said the younger Flynn played an important role in the day-to-day operations of Flynn Intel Group and served as his father’s chief of staff. Those responsibilities included attending meetings with his father and communicating with prospective clients, the former business associate said. NFL player Nate Boyer, the former Green Beret who made headlines a year ago when he wrote an open letter to Colin Kaepernick about his national anthem protest, is calling on the quarterback and President Trump to unite the country. His call came as NFL players continued to protest during the national anthem in Week 6. Three Dolphins — Kenny Stills, Mike Thomas and Julius Thomas — stayed in the locker room during the national anthem, Sports Illustrated reported. The Packers linked arms as a team, as did the Lions and the Jets. Patriots players put one hand on their teammates’ back and another one on their heart. Six 49ers players took a knee for the national anthem. “Simply put, it seems like we just hate each other; and that is far more painful to me than any protest, or demonstration, or rally, or tweet,” Boyer said. “We’re told to pick a side, there’s a line drawn in the sand “are you with us or against us?” It’s just not who we are, or at least who we’re supposed to be; we’re supposed to be better than that, we’re Americans. This doesn’t even seem to be about right or wrong, but more about right or left. He said he sat down with five Special Operations vets and discussed the NFL flag protests. “That’s how it all started with Colin and I, neither of us knew that kneeling would be the result of our conversation,” Boyer wrote. “Colin wanted to sit, I wanted him to stand, and so we found a common ground on a knee alongside his teammates. I believe that progress and real change happens in this world when you reach across the divide, you build a bridge, you swallow your pride, you open your mind, you embrace what you don’t understand, and ultimately you surrender. Kaepernick said last year that he was refusing to stand for the national anthem to protest police brutality and racial inequality. Boyer wrote the open letter to Kaepernick in August 2016 in the Army Times. The letter led to Boyer having a talk with Kaepernick. After that meeting, Kaepernick began kneeling during his protests rather than sitting. Boyer, who played a pre-season game with the Seattle Seahawks as a long snapper and then was released by the team, wrote in his letter in the Army Times in August 2016 that he was not judging Kaepernick for protesting the anthem. After writing the letter, Boyer then met Kaepernick. Last week, NFL Commissioner Roger Goodell sent a letter to teams calling on players to “honor our flag” and stand for the national anthem. BATON ROUGE, La. 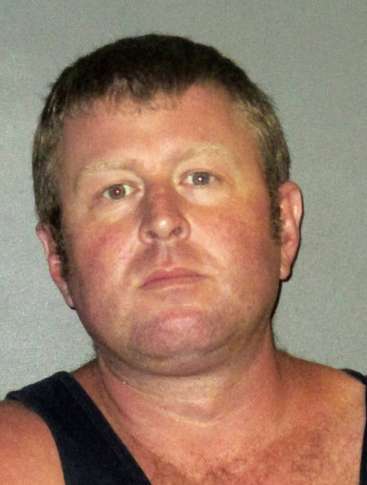 (AP) — Authorities in Louisiana have arrested a man in connection with four shootings since July in the same area, including a Boy Scout employee who was shot and killed Monday near the camp where he worked. The Advocate reports that authorities announced during a news conference Wednesday night that 36-year-old Ryan Sharpe of Clinton will be charged with three counts of first-degree murder and one count of attempted first-degree murder. East Baton Rouge Sheriff Sid Gautreaux would not comment on a motive in the shootings or say whether the suspect knew the victims. In the most recent shooting, 48-year-old Brad DeFranceschi was shot multiple times about 11:15 a.m. Monday in front of his house on camp property, East Feliciana Parish Sheriff Jeff Travis said. Is the NFL’s anthem stance a victory for Trump? President Trump said Wednesday it’s “about time” after NFL Commissioner Roger Goodell sent a letter to teams calling on players to “honor our flag” and stand for the national anthem. “It is about time that Roger Goodell of the NFL is finally demanding that all players STAND for our great National Anthem – RESPECT OUR COUNTRY,” Trump tweeted early Wednesday. The president’s comments come a day after Goodell sent a memo to NFL executives and club presidents, aiming to move past the weeks-long feud between the White House and NFL players who have kneeled or otherwise protested during the national anthem at the start of NFL games. Goodell and NFL team owners will meet in New York City next week for their annual fall meeting, where the protests will apparently be discussed. Vice President Pence got involved in the feud last weekend, when he traveled to his home state of Indiana to attend the Indianapolis Colts vs. San Francisco 49ers game on Sunday. The vice president left the game when players did not stand for the anthem. Trump on Wednesday also slammed “fake news” and Democrats, ahead of his tax reform speech in Middletown, Pa., Wednesday evening. “It would be really nice if the Fake News Media would report the virtually unprecedented Stock Market growth since the election. Need tax cuts,” Trump tweeted. The Democrats want MASSIVE tax increases & soft, crime producing borders.The Republicans want the biggest tax cut in history & the WALL! 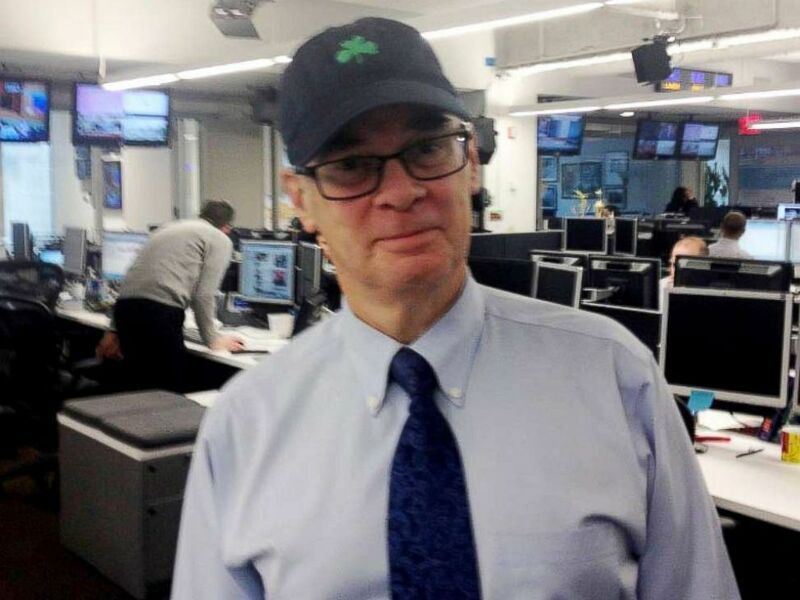 Mooney’s news career stretched from the age of typewriter ribbons to Twitter, and he worked for a variety of outlets, including the United Press International wire service, The New York Post, The New York Daily News, ABCNews.com and CNNMoney. At ABCNews.com, Mooney was an influential mentor to scores of younger journalists. 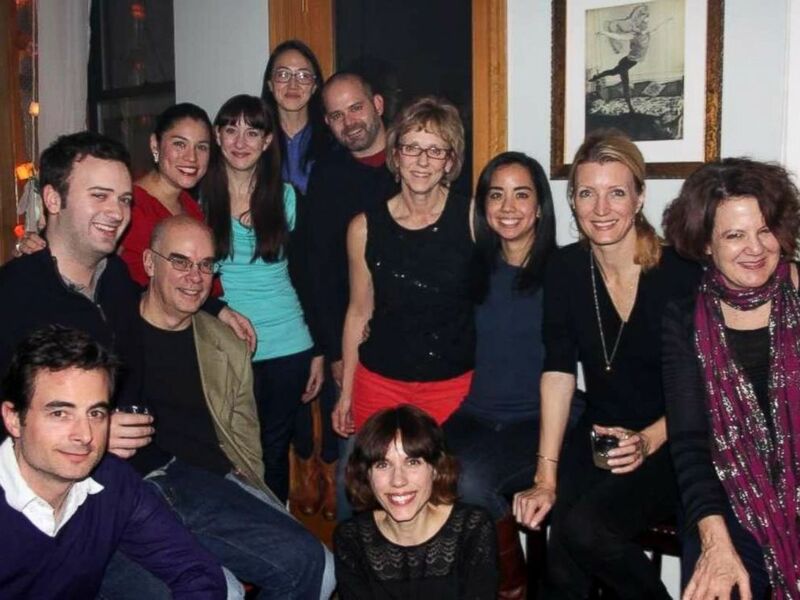 “I can’t imagine [a newsroom] without Mooney — barking out orders and commentary, swaggering over to reporters’ row for another round of boot-camp editing, an act of bravado, toughness … and great affection,” former ABCNews.com editor Nancy Ramsey said. The social media company will discuss its role in alleged interference by Russia in the 2016 U.S. presidential election. By Katelyn Newman , Digital Producer, Staff Writer |Sept. 28, 2017, at 8:43 a.m.
Twitter is expected to testify before the Senate Intelligence Committee Thursday in connection with its role as an online platform for Russia’s alleged interference in the 2016 presidential election. The closed-door briefing with the social media company’s executives will focus on automated Twitter accounts – known as “bots” – and Twitter’s responsibility in curbing disinformation from spreading on its site and perpetuating fake news, Quartz reports. About 19 percent of all election-based tweets during a six-week period from September to October 2016 were traced back to an estimated 400,000 bots, according to a University of Southern California Information Sciences Institute study. “Twitter deeply respects the integrity of the election process, a cornerstone of all democracies, and will continue to strengthen our platform against bots and other forms of manipulation that violate our terms of service,” a Twitter spokesperson told Quartz. Russia enlisted social media trolls “as part of its influence efforts to denigrate Secretary Clinton,” according to the director of national intelligence’s report on Russian election interference, issued Jan. 6. Twitter’s appearance before Congress comes a week after its social media rival Facebook agreed to hand over more than 3,000 ads linked to Russia that were purchased during the election. While Thursday’s meeting is closed to the public, a Senate aide told Reuters that the Senate Intelligence Committee invited executives from Facebook, Twitter and Google to appear at a public hearing Nov. 1. Sen. John McCain, R.-Ariz., appeared in a CBS “60 Minutes” interview Sunday where he revealed his cancer prognosis is “very, very serious.” McCain was diagnosed with a glioblastoma, a type of brain cancer, in July after undergoing surgery for a brain tumor. The senator, 81, told CBS’ Lesley Stahl his doctors said “it’s a very poor prognosis,” and chances of survival are low. “They said … that the prognosis is very, very serious. Some say 3 percent, some say 14 percent … So I just said, ‘I understand. Now we’re going to do what we can, get the best doctors we can find and do the best we can. And at the same time celebrate with gratitude a life well lived,'” McCain said in the interview. This isn’t the first time McCain has faced a life-threatening situation. The senator has stared down death before and won. He survived torture and five and a half years in solitary confinement during his time as a prisoner of war in Vietnam from 1967 to 1973. He was diagnosed with melanoma — the deadliest form of skin cancer — in 2000. And he has been in two plane crashes. “I’m still in disbelief that this actually has happened. And then I think, you know, cancer chose the wrong guy. Because it’s not going to happen here,” Mrs. McCain said during the interview. Australia will establish a national space agency, the government has said. Although its space industry employs about 11,500 people, Australia is one of the few major developed countries that do not have a space agency. Industry Minister Michaelia Cash said it was “crucial” that Australia capitalised on the growth of the global space industry. The move follows a domestic industry review which called for a dedicated body to be established. “The agency will be the anchor for our domestic co-ordination and the front door for our international engagement,” Ms Cash said. 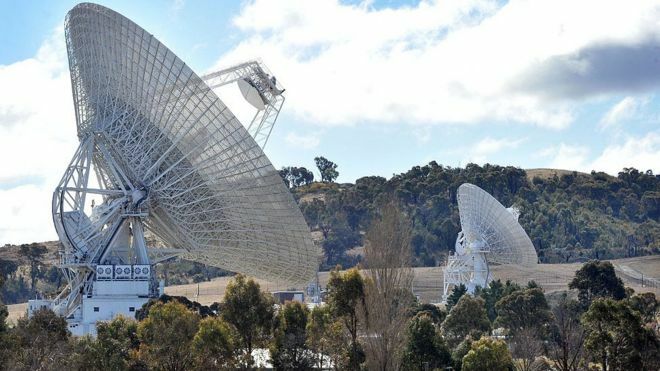 The government is expected to announce further details at the International Astronautical Congress in Adelaide this week. The conference will be attended by thousands of global space experts, including the heads of other national agencies and private companies. 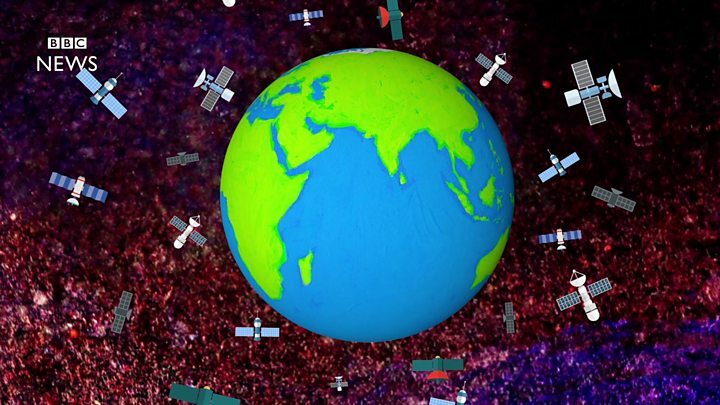 The country is largely reliant on overseas nations like the United States for its satellite and earth observation data. The Space Industry Association of Australia has argued that the country is well placed to expand its space technologies because of its location, large geographical size and relatively low population. For Pittsburgh Steelers head coach Mike Tomlin, being “respectful of our football team” trumped the right of Steelers offensive tackle Alejandro Villanueva to show respect for the national anthem. Villanueva, who served three tours in Afghanistan, decided to stand his ground instead and placed his hand over his heart while the anthem played. There appeared to be some confusion in the Steelers locker room after Villanueva came out of the tunnel for the anthem. Offensive tackle Chris Hubbard told Penn Live that the players, by a slim majority, voted in favor of staying off the field instead of standing on the sideline holding hands. Hubbard, however, said everyone in the locker room accepted that Villanueva would be exempt from the team’s decision. “I don’t know if the most effective way is to sit down during the national anthem with a country that’s providing you freedom, providing you $16 million a year…when there are black minorities that are dying in Iraq and Afghanistan for less than $20,000 a year,” Villanueva told ESPN in 2016. “I stand because I respect the men who died in real battle so I have the freedom to battle on the field…but everyone these days likes to find a reason to protest and that’s their right,” Wolfe told ESPN, according to The Washington Post. Television broadcasts in Southern California were interrupted late Thursday morning with an end-of-the-world prediction, startling viewers and setting off a firestorm on social media. Erin Mireles told the Orange County Register that she was watching Bravo on Spectrum when the alert appeared. “I was definitely startled, ’cause the volume increased exponentially,” she said. “I wasn’t alarmed in the sense of thinking something was wrong, ’cause I assumed it was some sort of hack,” she said. One person said the voice sounded like Hitler. A spokesman for Cox Communications told the paper that the problem occurred because one or more radio stations conducted an emergency test. The report said it was unclear if the alert had anything to do with the Christian numerologist who recently claimed the world will end Saturday when a planet will, supposedly, collide with Earth. According to Christian numerologist David Meade, verses in Luke 21:25 to 26 signify that recent events, such as the recent solar eclipse and Hurricane Harvey, portend the apocalypse. Saturday’s date, Sept. 23 was pinpointed using codes from the Bible, as well as a “date marker” in the pyramids of Giza in Egypt. Meade’s views are not endorsed by Roman Catholic, Protestant or eastern Orthodox branches of Christianity. Americans are having the wrong security conversation when it comes to the impact of immigration. We should be thinking about national security, not border security. The border can be secured without changing the level of legal immigration, but the nation’s strength has been (and will hopefully always be) built on millions of migrants coming to our shores. The idea of reducing the number legal immigrants to America by half would have stunned founding fathers Thomas Jefferson and George Washington. Nudging out another 800,000 youthful DACA immigrants would have dropped their jaws. The president has lurched in different directions on this issue, but hopefully he and others that care about national security will see the smart bet is to favor more, not less, legal migration. To the founders, immigration was the key to power. More people increased economic growth and diversity. More people were also seen as the basis of military strength, as the historian Robbie Totten discovered in hundreds of historical speeches and letters from that era. In particular, state conventions to ratify the U.S. Constitution reveal an obsessive debate over ways to increase immigration, with constant references to the size of the militias and navy. In a similar fashion, state leaders from South Carolina to Pennsylvania competed to make their governments more accommodating to foreign migrants during the early years of the republic. Ironically, many legislators worried that too many of their states’ citizens would migrate even further to the frontier territories. State conventions to ratify the U.S. Constitution reveal an obsessive debate over ways to increase immigration, with constant references to the size of the militias and navy. Today, thanks almost entirely to the founder’s foresight, America is the wealthiest, most powerful nation in the world. Unfortunately, too much of a good thing makes one forgetful. And so today, people forget the benefits of free markets, free trade, low taxes, and even technological progress. And yes, they question immigration. What do you suppose China fears when it looks across the Pacific at the United States? Not only the prosperity. China sees a country of over 323 million people, third largest among nations, and, more importantly, young. Not young like so many impoverished countries with high birth rates and early death rates. America’s families are thriving unlike the sclerotic nations of Europe, and also unlike the rapidly aging nations of Asia, including China itself. Migrants are a major reason why. On a Wednesday morning in early August, speaking from a podium in the Roosevelt room with Senators Tom Cotton, R-Arkansas, and David Perdue, R-Ga., President Trump explained that he wanted to cut the annual rate of immigration from 1 million per year to 500,000 because it would help “minority workers competing for jobs against brand-new arrivals.” This makes sense if we think of immigration as a zero-sum game (between us the citizens versus them the immigrants) over jobs, wages, and welfare. Despite research showing that a dynamic economy simply doesn’t work that way, the instinct is understandable. But even if the lump-of-labor fallacy wasn’t a thing, the more important us-versus-them perspective is neither internal or economic. It’s foreign and martial. Case in point: Albert Einstein was German. He fled the Nazis for Princeton, New Jersey. And thank God. What if the United States had cut immigration by half starting in 1776? Our present population of over 323 million souls would be far lower. Using data from the U.S. Census starting with the year 1820 (population 9.6 million), I calculated an alternative history. Cutting immigration levels in half every year, thereby also reducing net future births, generates a modern U.S. population of 229,420,534. Basically, we would be without nearly one hundred million Americans. Looking back along the alternative historical timeline, that’s 32 million fewer people in 1940, and 65 million fewer in 1990. Would the U.S. have won World War II (on one or both fronts) with a quarter fewer soldiers and sailors? Would it have been able to outgrow the Soviets or afford a Marshall Plan? Would it have dared to stop the communists in Korea in 1950? To be sure, the foreign security situation that the U.S. faces in 2017 is significantly different than it faced in 1820 or 1776. But the simple math is the same. To the isolationist, the size of the U.S. population is irrelevant to the selfishly guarded fruits of fortress America. That is true. An isolationist policy would have cut immigration to zero in 1820, avoided foreign entanglements entirely, and survived to a present-day population of 137 million people, based on my calculations. With a population of that size, the U.S. today would be smaller than Bangladesh, larger than Germany, and about the same size as Mexico. It would have far fewer inventions and no navy, but a mighty fine border patrol. To the traditionalist, America is not a fortress but rather an exceptional beacon of universal liberty, where immigration is vital to building the channels for positive change as well as increasing our military potential. What limits do we set on the national security of our grandchildren if we slash immigration now? It may be old school to think this way, but population is the foundation of power. Always has been and always will be. As the special counsel’s probe continues, actions point to access to the president’s closely held financial information. It now appears likely special counsel Robert Mueller has crossed what President Donald Trump has said is a clear red line by gaining access to the president’s tax returns as part of a broadening investigation looking for links between Trump’s business interests, his presidential campaign and Russia. In fact, it seems almost certain the FBI–special counsel investigation has its hands on the president’s tax returns. “Mueller would be engaged in malpractice if he didn’t” already have access to the president’s tax returns, a member of Congress on one of the congressional committees looking at Russia’s interference in the 2016 presidential election told me. In fact, people familiar with the type of investigation that Mueller is now running signal the near-certainty that Mueller has access to the president’s tax returns. The purpose would be to use the tax returns as a road map to investigate potential Russian financial influence within Trump Organization limited liability companies. “I believe Mueller has already obtained tax returns in the Russia investigation,” Renato Mariotti, a former federal prosecutor in the Securities and Commodities Fraud Section of the U.S. Attorney’s Office in Chicago, said on Twitter on Aug. 10. He later wrote in The Hillhe often used tax returns in his own federal investigations, and that it is almost a necessity in an investigation like Mueller’s. It’s also done without knowledge of the subjects of the investigation. Before taking “an aggressive, public action” like having the FBI search a subject’s home, Mariotti wrote, a “typical step” federal prosecutors take in white-collar investigations is obtaining tax returns. Mariotti also said it ordinarily would require a senior Justice Department official to sign off on a request to the IRS for tax returns in a non-tax federal investigation. But, in this case, Mueller already has that authority. Does Mueller have the president’s tax returns? “I would be surprised if Mueller hadn’t obtained some tax returns by now. The question is just whose tax returns he has,” Mariotti wrote. Bloomberg reported in late July that Mueller had expanded his probe to Trump’s business interests – prompting the president’s lawyers to complain that such an investigation was outside the scope of his remit and leading to considerable public speculation about the scope and direction of the special counsel’s investigation. Meanwhile, Trump a day earlier pointed to Mueller examining his finances as a red line that should not be crossed. An even surer sign that such a red line has likely been crossed now, experts say, is the direct involvement of the IRS’ vaunted Criminal Investigation unit – the one that once put mob boss Al Capone away on a tax conviction and has deep expertise in such matters. The Daily Beast has reported exclusively that Mueller’s team has, in fact, begun to work closely with this IRS department. Obtaining Trump’s tax returns as a routine part of that inquiry is not just possible – it’s likely, experts say. “Special counsel Bob Mueller has teamed up with the IRS. According to sources familiar with his investigation into alleged Russian election interference, his probe has enlisted the help of agents from the IRS’ Criminal Investigations unit,” Daily Beast political correspondent Betsy Woodruff reported on Aug. 31. Every American’s personal tax information is sacred to the IRS. That includes the president of the United States. Any IRS employee is fired on the spot if they’re caught even looking at someone’s personal tax information outside of an audit. That, too, includes Trump’s tax returns. But, as Mariotti pointed to, there is one time-honored avenue for access to someone’s personal tax records – and it doesn’t require a subpoena or necessarily notifying the subject of the IRS or FBI investigation. Any U.S. attorney (or a special counsel acting under U.S. attorney powers) can request access to tax returns through an ex parte court order, and the request is nearly always handled without further review up the line at the IRS. Now, quite obviously in this case, it would be nearly impossible for Mueller to obtain the president’s tax returns without triggering an intense reaction inside the agency and the FBI hierarchy. But once the IRS’ Criminal Investigation unit is involved – as appears to be the case, according to the Daily Beast’s reporting – then that process is well-known, understood and compartmentalized. A longtime congressional oversight staff director who has overseen dozens of similar investigations pointed me to this particular section in the criminal resource manual for U.S. attorneys, which describes what they need to do in order to obtain someone’s tax returns as part of an FBI investigation. Bringing in the IRS’ Criminal Investigation unit makes this process even easier, and more likely. IRS officials then make those records available – without necessarily notifying anyone outside the investigating teams of the request. The FBI has that sole authority to request this of the IRS. When both the FBI and the IRS are working together, the circle is close-knit. We may not know, for sure, whether Mueller’s team has access to the president’s tax returns until he takes an action publicly. Congressional oversight committees conducting their own investigations aren’t likely to know, either. Congressional access to tax return information from the IRS is quite limited, a senior congressional oversight investigator told me. Only the House Ways and Means and Senate Finance committees have the authority to look at individual tax returns from the IRS, and neither panel is involved in the congressional Russia investigations. They’re completely focused on tax reform at the moment. It’s also highly unlikely any of them will seek those returns, this aide told me. “Even if they were briefed, I would assume that they would hold that information very close,” the aide said. And Trump’s attorneys may have no way of knowing whether that red line has been crossed, either, even though it certainly appears likely that it has been. They, too, might be forced to wait and see how the Mueller investigation concludes. Trump’s legal team talked about the Russia investigation over lunch – while a reporter sat nearby. By Megan Trimble, Associate Editor, Social Media |Sept. 18, 2017, at 10:00 a.m.
Reporters often dig for big news scoops. Sometimes, they’re served them loudly and with a side of salad. Over the weekend, Ty Cobb and John Dowd, members of President Donald Trump‘s legal team, were overheard discussing details of the Russia investigation during what appeared to be a working lunch at BLT Steak in Washington, just feet from the Washington Bureau of the New York Times. New York Times investigative reporter Kenneth P. Vogel on Sunday tweeted a photograph of the pair from his seat at the next table. The steakhouse, the New York Times notes, is popular in the city. “Here’s a photo of Ty Cobb & John Dowd casually & loudly discussing details of Russia investigation at @BLTSteadDC while I sat at next table,” Vogel wrote. Vogel reported he overheard them debating how to respond to investigators’ requests in the Russia probe, as well as discussing White House counsel Donald F. McGhan and Jared Kushner, the president’s son in law. Federal investigators are probing Russian meddling in the 2016 election and its possible collusion with associates of the Trump administration or members of the president’s campaign team. And for inquiring minds wanting to know, Vogel tweeted that he ordered the tuna Niçoise salad. The president is denying assertions by Chuck Schumer and Nancy Pelosi that they have an agreement with him that will preserve protections for young immigrants in the U.S. illegally while adding border security without the wall he has coveted. Florida emergency workers are urged to check the welfare of those in nursing homes after eight people died in a scorching facility in Hollywood that lost its air conditioning during the hurricane. In places like poverty-stricken Immokalee near the Everglades, the day-to-day struggle to survive is now an hour-to-hour fight. The president will hear directly from Floridians affected by Irma’s fury as he makes his third visit in less than three weeks to the storm-wracked South. New details the AP has learned about a string of mysterious “health attacks” on U.S. diplomats in Cuba indicate the bizarre incidents were narrowly confined within specific rooms or parts of rooms. That strong prospect of a “yes” outcome alarms nearly everyone else — the Baghdad government, Turkey, Iran and the Kurds’ own ally, the United States. A fire that blocked the only exit to an Islamic school dormitory killed 24 people, mostly teenagers, on the outskirts of Malaysia’s capital, officials say. The move, to fight identity theft, would replace Social Security numbers with unique new numbers to identify beneficiaries. A smiling, chill Spicer, showed up on the late-night show in marked contrast to the six hot-tempered months he spent as White House Press Secretary.